GoPro’s HD HERO Naked is the world’s highest performance wearable 1080p HD video and still photo camera. Professional quality 1080p / 960p / 720p HD resolutions record at 30 and 60 frames per second (60 fps in 720p). Record up to 2.5 hours on a single charge and up to 9 hours total on a 32GB SD card (not included). The camera can also shoot automatic 5 megapixel photos at 2/5/10/30 and 60 second intervals during your activity, hands free. Press the shutter button once at the start of your activity and record up to 2.5 hours of poster-print quality photos of you and your friends, living it up. I purchased the Motorsports version of the GoPro HD Hero, along with the Handlebar Seat Post mount, which together came with an array of mounts in addition to the camera. I also got the Surf Hero mount that will attach to a windsurfer or surfboard. It's past the watersports season in my area, so I probably won't get to test this out until next summer. The suction cup mount allows the user to attach to cars, motorcycles, snowmobiles, and cockpits. It is recommended for non-impact activities, but it seemed to have on heck of a grip on my car. It's pretty much made of of a hard plastic, but feels pretty rugged. Considering that I was planning on using this for Kite Aerial Photography/Videography, I want to keep weight down on my rigs. One of the first things that I did was go to the Home Depot and purchase some replacement 1" / 10-24 stainless steel bolts that require a #4 allen wrench. The included bolts are nice if you are going to use if for snowboarding, for example, and you need to be able to make adjustments without tools, or eliminate the need to remove your gloves. They seem a bit big and clunky. For me, I know that they are tightened and will not fall off when using the replacement bolts. Also, please note that the nuts included will all mounts are not standard sized*, and wasn't something that I could get from the hardware store. Hopefully, GoPro will stock these in the store. Replacing the hardware is definitely not necessary, and is only a person preference of mine. Original hardware on the right, replacement bolts pictured on the left. * The nut caps use a standard 10-24 thread, but the exterior of the nut is smaller than the standard 10-24 nuts at the hardware store. I think one of the cheapest and most useful accessory to the GoPro HD Hero, is the Tripod Mount. Since the Hero has a proprietary mounting system, having the tripod mount** bridges the gap to other alternatives. I ended up using this on 2 of my Pole Aerial Photography rigs, as well as the mount for my Kite Aerial Photography rig. Pictured here with on the tripod mount, with included hand-tightening bolt. Pictured here with on the tripod mount, with replacement bolt. The HD Hero is light enough to use on my xShot exendable pole in conjunction with the tripod mount. This extendable pole gets a different perspective and gives the user options when using the built in intervelometer for pictures, as well as the 60fps HD video at 720p. Pictured here with on the tripod mount, using a xShot extendable pole. Since the Tripod mount uses a standard thread, you can use any of your existing photography accessories with the HD Hero, not just tripods. Pictured here with on the tripod mount, with small Gorrilla pod. The Handlebar seat post mount is designed to fit on any tubes/frames ranging from 0.75" to 1.4" in diameter. I ended up not only trying it on my bike, but also clamped to my Yakima roof rack on my vehicle as an alternative to the Motorsports mount. The 3M adhesive mounts to be used on helmets or virtually any other surface, create a secure connection without worrying about having the camera fall off. Pictured here with various mount, including the Handlebar Seat Post mount, Tripod mount, and a few of the different helmet mounts. Here is a sample video of my Dog Maximus run next to me while I rode my bike. This showcases the use of the Handlebar Seat Post mount and Tripod Mount on an extendable pole. My main purpose for buying this camera is to make an attempt to capture video, using my Kite Aerial Photography rig. The biggest problem with video from one of these rigs is the excessing amount of movement for the camera, making the user nauseated when watching the final video. Recent development of the GS-1 motorized servo for KAP rigs give a better opportunity for capturing video on a much more stable platform. The roll stabilization rig show blow doesn't eliminate all camera shake and movement, but it does a pretty good job at making it at least watchable. 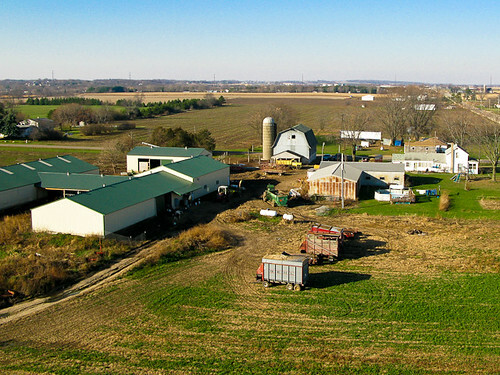 Using the 60fps option at 720p, it's plausible to capture aerial video that can be further stabilized during post processing. Pictured here with Roll Stabilization rig used for Kite Aerial Photography/Videography. The HD Hero camera itself is a cute little guy at 3.3 oz that is bare bones outside its case. There is a small LCD screen for modifying settings on the camera, but no built in LCD screen. They are obviously trying to keep the weight down on this and keep it simple. GoPro has future expansion packs listed on development agenda, including a LCD Bakpac and Endurance Battery Bakpak. I'm making a big assumption that both of these will need a replacement door for the existing housing to be able to fit the new hardware inside. SD or SDHC Memory cards can be used up to 32 GB in size. The equates to over 4 hours at full 1080p, or over 8 hours in 720p resolution. Making changes to the resolution, or any other setting on the HD Hero involves paging through the different menu options on the mini-lcd screen. I thought it very handy to have the resolution settings posted on the battery cover, so you don't have to Memorize the different settings. However, I feel as if I'll always be in r1, 1080p, or r3, which is 60fps 720p. The expansion slot is on the left in this image. The camera has a USB 2.0 data connection which is used for charging as well as PC connectivity. Connectivity to a HDTV through component cables can be achieved with the included cables. The battery is a rechargable lithiom-ion type with approximately 2.5 hours of battery life. I think that I'll need to get at least one more battery, as there will be many times where charging this won't be available. The future expansion bakpak is suppose to have double the battery life. Although having a camera that can take pictures at a regular interval is nice, I doubt I would use this feature very often, unless creating a time-lapse movie. For me, I can do the same thing with a Canon powershot camera using CHDK, and get a better image. However, the intervelometer feature wout be used during helmet cam or sports activites. The most attractive part of this camera is the HD resolution options available. Overall, the camera looks to be a lot of fun, and isn't too big to make it noticeable. I would suggest getting the grab bag of mounts if you end up going with the HD Hero Naked package, as you'll end up finding tons of places you'll want to try this out. There is mention in the included documentation of a feature that will automagically rotate the recorded images or video by 180 degrees in an upcoming firmware update. This will be handy, as I had to rotate a few of my videos in post processing due to the fact that the camera itself was upside down during the recording. The demo videos on the GoPro website demonstrate some of the amazing things that this can be used for. I think that the long waiting period to get a hold of this camera was definitely worth it, and will be part of my regular routine to carry this thing with me. If you don't have one yet, you'll definitely want one. Took Maximus out yesterday to do some Pheasant Hunting at Bong State Recreation Area. Max is not really that good of a bird dog, as he doesn't go more than 10-15 feet away from me usually. It would be nice if he ventured out a bit to kick up some birds. At least I don't have to actually shoot anything. I always bring my G9 camera just in case there is more action behind the lens instead of the shotgun. I've needed a new phone as the buttons on my Windows Mobile phone haven't been working properly. 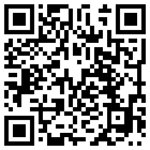 I've been holding out for the new Google Android phone from Verizon Wireless called the Droid. Since the service with AT&T is really terrible in southern Wisconsin, I was never able to pull the trigger on the iPhone. 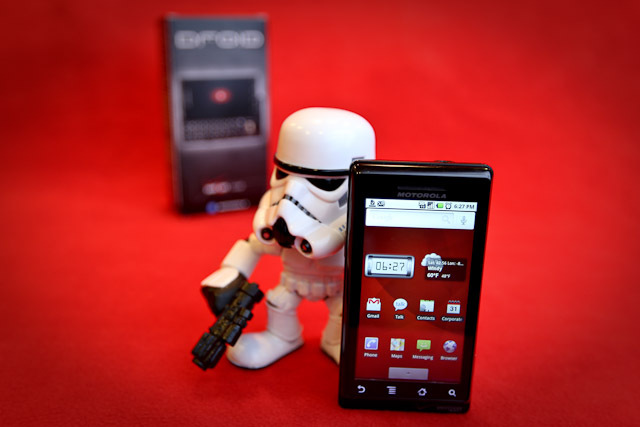 I'm really excited about the Droid phone, and had to post a picture of it as part of my Stormtrooper project. "These is the Droid you're looking for!" 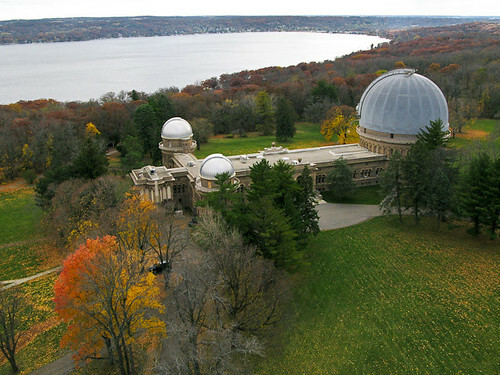 I got permission to go an photograph the Yerkes Observatory in William's Bay, Wisconsin near Lake Geneva using my Kite Aerial Photography camera. 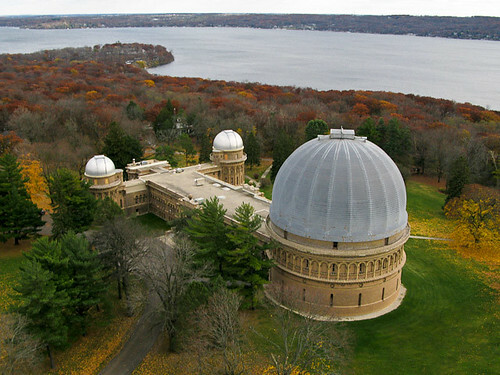 I saw this facility from across the lake the past summer during a sailing regatta, and though that this would be a great place for KAP. I totally forgot about it until recently, and decided that I would email the University of Chicago representative and let them know that I planned on coming out. It is a lot bigger than I expected, and the ornate details on the outside of the facility are superb. I would probably go back to photograph this just for the architecture of the property. 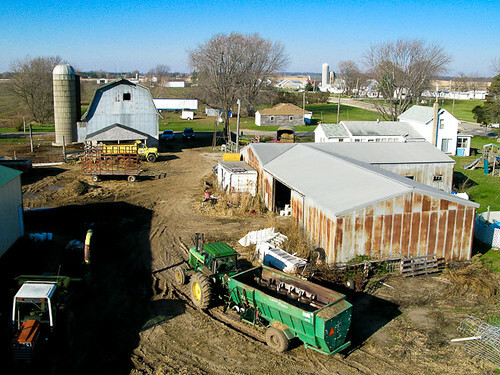 It was very windy today, and extremely gusty, which make it harder to get consistent shots from the air. There was enough room on the property and adjacent golf course to walk the kite around to get different perspectives. 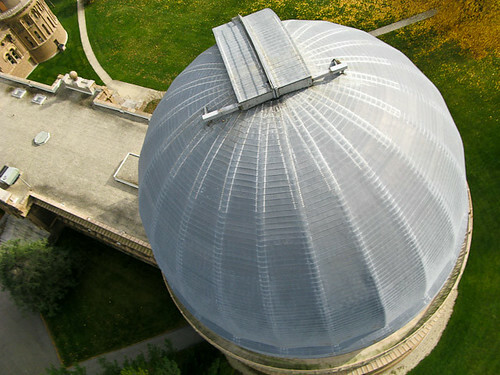 The largest of the domes is 90 feet high. Now, I just need to add it to my list to view the building from the inside, and get a peek through the world's biggest lens type telescope! 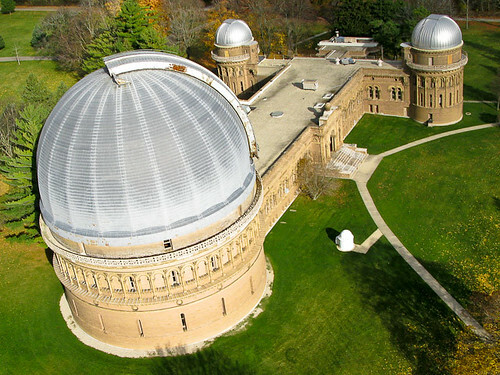 For additional images from the Yerkes Observatory Aerial Gallery, Click Here.